What does Barcelona FXStreet’s office look like? Curious to know where and how is our Barcelona’s office like? We have a few pictures for you! 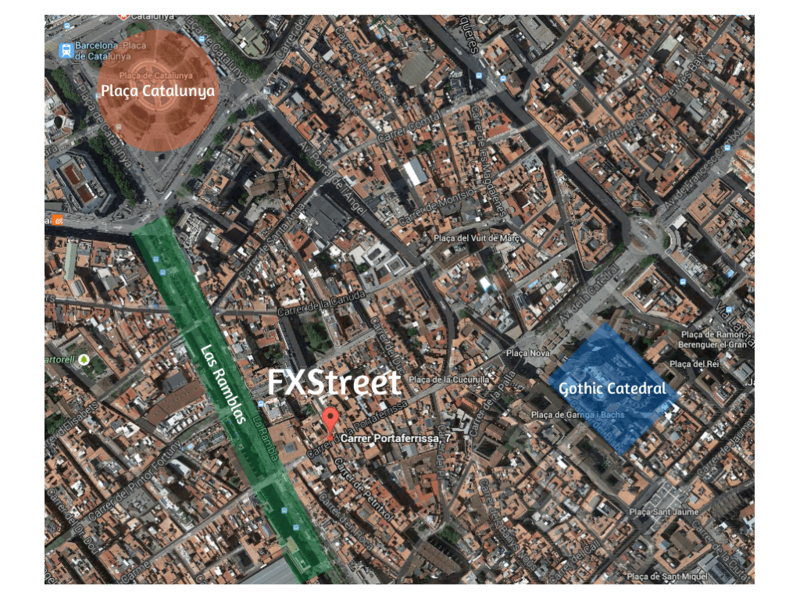 As many of you probably know, FXStreet is a company based in Barcelona. At its beginnings, the company’s office was located in the Gracia neighborhood (Upper side of the city). Since 2006, we are in a small pedestrian street that goes from the famous Ramblas to the Gothic Cathedral. Our office is on the second floor of a beautiful palace called “Palau Palmerola“, located in Portaferrissa, 7-9. This building preserves remains of the XVIII century and was rebuilt in 1857. Here are pictures I took last Friday. Our workplace is charming and very pleasant, have a look! Nice place bigger than I can imagine, lot of young people that’s great, every body with only one computer, oh God, yo me habia imaginado un salon con cuatro gatos cada uno con al menos cuatro monitores y dos computers, como hablan o discuten planes en Espanol, Catalan, Hebreo o Ingles. This is great I follow you for long time, once more time congratulation for your job, for your place and for important your people. THANKS TO UP DATE ANY TRADING POLL, ADD FOR XAUUSD POLL PLEASE…!! Previous Previous post: See you in Cyprus!